The Summit was a program of the Intelligence and Homeland Security Education Center (IHEC), a privately funded charity that promotes educational programs to help fight the war on terror. Originally incorporated in 1995 as the International Holocaust Education Center, the IHEC claims that it expanded its mission after 9/11 from "fighting racism to fighting terrorism." The Intelligence Summit sponsored an annual forum of intelligence and military experts to discuss international intelligence, counterintelligence, and counterterrorism. According to its website, "The purpose of the Summit is to provide an opportunity for the international intelligence community to listen to and learn from each other, and to share ideas in the common war against terrorism. The Summit's Advisory Council includes Generals, a former senior FBI official, a former senior Mossad officer, and the former Chair of the British Joint Intelligence Committee." The summit at one time claimed that it recruited “active serving members of the government, like Harold Rhode of the Office of the Secretary of Defense, to serve as neutral moderators" for its sessions, despite the fact that Rhode has been repeatedly identified with the neoconservative clique in the Pentagon that has promoted the Iraq War and action against Iran. The president of the International Intelligence Summit is John Loftus, a former Justice Department prosecutor who claims to have "once held some of the highest security clearances in the world with special access to NATO Cosmic, CIA codeword, and Top Secret Nuclear files." Although Loftus was an ardent supporter of the Bush administration's "global war on terror," he has also written about the Bush family's history of purported business relations with the Nazis. In his book The Secret War Against the Jews (1994), Loftus claims that the Bush clan made its fortune through direct and indirect dealings with the Nazis starting in the 1920s and continuing into the first years of World War II, a contention he has made elsewhere. In an article on his website, Loftus writes: "The Bush family's scandal is that they funded Hitler and profited from the Holocaust". In the same article, Loftus says that President George W. Bush is "not the sharpest tool in the shed, but has a good heart and the good sense not to follow in his father's footsteps." According to Loftus, "'W' has some good people around him who keep a firewall in the White House against his father's oil cronies." Members of the summit's advisory council include a number of former military officers and intelligence experts, many of whom are linked to neoconservative and other right-wing institutes and that call for a more aggressive war on terrorism and for closer intelligence and military links with Israel. Several, including Lt. Col. Bill Cowan, Clare Lopez, Lt. Gen. Thomas McInerney, and Maj. Gen. Paul Vallely, are principals of the Iran Policy Committee, a hardline group in Washington that calls for regime change in Iran through support of the Iraq-based People's Freedom Fighters (MEK). Clare Lopez was an operations officer with the CIA for two decades, and worked in the private sector as a threat assessment expert for HawkEye Systems and Chugach Systems Integration. She is also an associate with the conservative Middle East Institute. McInerney established the consulting firm Government Reform Through Technology (GRTT) in 2000. From 1996 to 1999, McInerney was chief executive officer and president of Business Executives for National Security (BENS); he was previously vice president of command and control for Loral Defense Systems-Eagan. McInerney and Vallely coauthored the 2004 book Endgame: The Blueprint for Victory in the War on Terror, published by Regnery, a right-wing publishing house. Vallely is the chairman of the Military Committee of the neoconservative Center for Security Policy. Both McInerney and Vallely are on the board of the American Center for Democracy. Cowan is the co-founder and chief executive of wvc3, Inc., a private contractor that provides security and intelligence services to the U.S. government and corporations. The company claims: "No other company, large or small, possesses the in-depth understanding of terrorism or the many nuances of domestic security." Other members of the Intelligence Summit's advisory council include Yossef Bodansky, Rachel Ehrenfeld, Pauline Neville-Jones (former chair of the British Joint Intelligence Committee), Richard Marcinko (author and former Navy SEAL), Yoram Hessel (former senior Israeli Mossad officer), Brigitte Gabriel (founder of American Congress for Truth, which fights "Islamic totalitarianism"), Steve Pomerantz (former FBI counterterrorism director), Bahukutumbi Raman (former counterterrorism chief, India), Tashbih Sayyed (adjunct fellow at Foundation for Defense of Democracies), Oded Shoham (Israel Defense Forces), and Wayne Simmons (former CIA operative). Bodansky, born in Israel, is a "world terrorism analyst" at the Freeman Center for Strategic Studies in Houston and the author of the 1999 book, Osama Bin Laden: The Man Who Declared War on America. According to WorldNetDaily, the book "documents numerous contacts and meetings between bin Laden's agents and agents of Hussein. In addition, Bodansky, one of the top terrorism advisors to the U.S. Congress, said the relationship between Iraq and al-Qaida predated the September 11 attacks by a decade, and continued thereafter." Ehrenfeld, also a member of the Committee on the Present Danger, is the founder of the American Center for Democracy, which focuses on the connections between narcotrafficking, corruption, and terrorism. The Intelligence Summit has close links to and receives major funding from Michael Cherney, an expatriate Russian business tycoon who has been accused by the Russian and Israeli governments of having numerous ties to international organized crime and connections to assassinations of rivals. Since 1995, Cherney has lived in Israel, where he has been investigated for alleged involvement in the international dealings of the Russian mafia. In an Intelligence Summit brief, "The Framing of Michael Cherney," Loftus concludes: "Mr. Cherney does not, nor ever did, present a danger to American national security. To the contrary, his good character and extensive contributions to the U.S. war on terror are well known." Ehrenfeld, who has built her reputation on trying to link organized crime and terrorism, also jumped to Cherney's defense in a June 11, 2006 article in FrontPageMag.com, entitled "Inviting Enemies and Rejecting Friends," in which she condemned the State Department for having "repeatedly denied visas to an Israeli billionaire" who is "an ally in the U.S. War on Terror." Ehrenfeld, who points out that Cherney was invited to the United States to receive the International Summit's first Service Award, claims that the State Department caved in to an "international smear offensive." In early 2006, two former CIA directors, John Deutch and James Woolsey, resigned from their positions at the Intelligence Summit, according to a report in the New York Sun. Loftus claims that both men left as the result of a pressure campaign by the Directorate of Intelligence to punish the summit for releasing secret recordings of Saddam Hussein and his advisers. However, Deutch and Woolsey say they left the Intelligence Summit after learning incriminating information about Cherney. Claude Salhani, “Intelligence Summit Takes Flak,” UPI, March 9, 2007, http://www.spacewar.com/reports/Intelligence_Summit_Takes_Flak_999.html. "About Intelligence Summit,"International Intelligence Summit,” www.intelligencesummit.org/about.php. John Loftus, Learn More About John Loftus, WebArchive, http://web.archive.org/web/20030604055731/http://john-loftus.com/bio.asp. John Loftus, Bush Nazi Connection, Scribd, http://www.scribd.com/doc/14504840/Bush-Nazi-Connection. wvc3, Who We Are, http://www.wvc3.com/whoweare.cfm. WorldNetDaily, Bin Laden – The Man Who Declared War on America (Book), http://superstore.wnd.com/BIN-LADEN-The-Man-Who-Declared-War-on-America-book. John Loftus, "The Framing of Michael Cherney," Intelligence Summit, December 19, 2005, www.intelligencesummit.org/cherney. Rachel Ehrenfeld and Alyssa A. Lappen, "Inviting Enemies and Rejecting Friends," FrontPageMagazine.com, June 11, 2006, http://archive.frontpagemag.com/readArticle.aspx?ARTID=5969. Eli Lake, Furor Erupts Over Recordings of Saddam, New York Sun, February 16, 2006, http://www.nysun.com/foreign/furor-erupts-over-recordings-of-saddam/27684/. 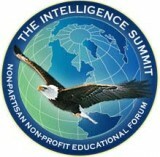 Intelligence Summit, “News & Commentary”, http://www.intelligencesummit.org/news/. The purpose of The Summit is to provide an opportunity for the international intelligence community to listen to and learn from each other, and to share ideas in the common war against terrorism.